If Leonardo DiCaprio is on your holiday wish list this year, send Paramount an early thank you note. 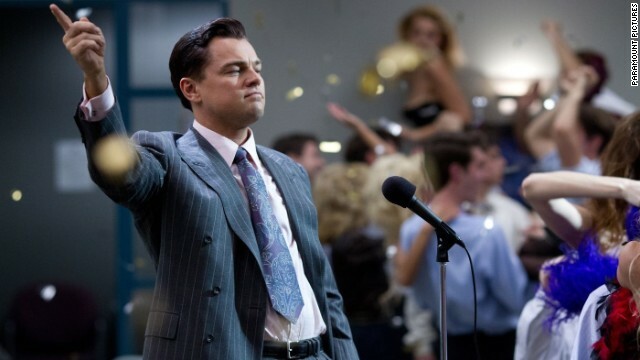 The studio has scheduled DiCaprio's upcoming movie "The Wolf of Wall Street" for December 25. The drama, based on the memoir of the same name by stock scammer Jordan Belfort, was originally slated for mid-November. But, according to Variety, there were concerns about the time needed to wrap the film, with director Martin Scorsese mulling a release in line with the Cannes Film Festival. Unbelievable~~ My friend Kathy has just married to a handsome black man met through ♥ ♥ http://blackwhitehubdating.weebly.com/ ♥ == The best choice for you!. Here you will meet lots of inter`racial singles and find friendship, love, romance, marriage or even more . Over 1700000 active members from local and worldwide. Easy to search. Hope you will like it. Looks good....I will make sure I see this movie. Again? confirms himself to be an intolerant obama drone, beholden to the cult of personality despite glaring evidence of failure upon failure. And the Saul Alinsky personal attacks. You discredit yourself, Again? Typical lib tyrant. Martin Scorsese is a huge leftist and this is another pr0paganda installment to demonize capitalism. Just in time for Obama's healthcare rollout. Socialism is working out so well... thanks alot, Martin, for your steadfast support to all things liberal. America's decline and economic malaise, Martin, are partly on your shoulders. STFU, you stupid Republicant. Why do you have to continually bring politics into a entertainment blog? You are from the party of do nothing, and YOU are complaining? Idiot!!! So, did Sokman change his name to friedrich? Sounds just like him, don't you think? Sure, you can trust the government. Just ask an Indian. Before you got here, we were doing fine. We could hunt and fish, women did all the work, we paid no taxes. White man got here and messed up everything! I concur with Friedrich. @again?, you're sort of a simpleton and would be well advised to speak less lest you confirm the low opinion everyone already has about you. Scorsese uses the vehicle of visual media to influence his target audience, hence his propaganda is inextricably intertwined with "entertainment". If you cannot discern an obvious relentless flow of anti capitalist messaging from Hollywood, you are blind. A lemming doing what you're told, thinking what you're directed to think, voting Obama. A conservative calling somebody else blind and a lemming without a sense of irony - classic. Go blow your investment banker again, Ellen.